These forces of nature, when they converge, be they astronomic collision, biological unions, demonstrate the infinite potential of our connections. This truth also extends to the human heart. How do you even describe Maniac? It’s like if Paolo Sorrentino applied his dark comedy to Inception by way of Eternal Sunshine of the Spotless Mind with the retro-futurist visual template of Legion — maybe? Comparisons aside, it is weird and it is wonderful. 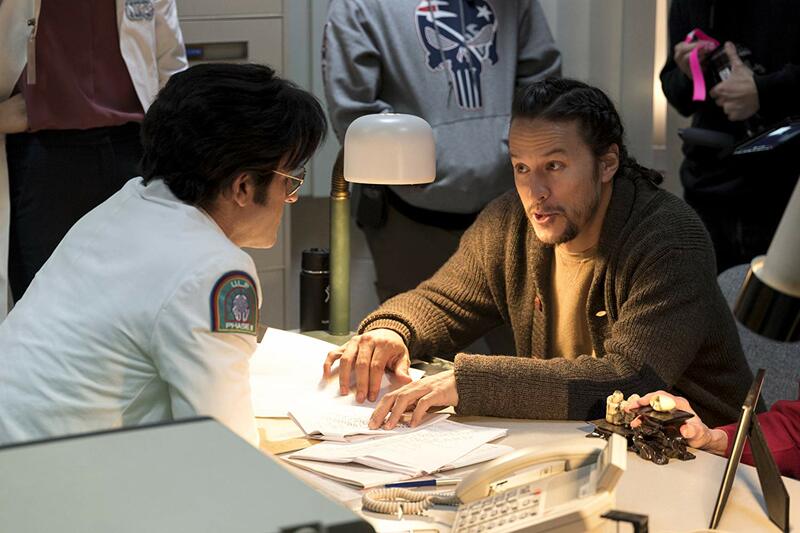 Four years ago Cary Joji Fukunaga was fresh off an Emmy win for directing the first season of True Detective, and it seemed like he was headed into the stratosphere. Even in a show that some critics derided as masculine nonsense, Fukunaga’s direction was universally praised and subsequently copied by scores of other directors who wanted to ride on the coattails of his aesthetic. Now four years later “Fake-unaga” is everywhere, but the director himself has managed only one project in that time, the underperforming Beasts of No Nation, and a slew of projects handed off to other directors over “creative differences.” It: Chapter One went on to become a smash hit for Andy Muschietti and The Alienist earned cult audience and a handful of Emmy nominations for TNT. Meanwhile, Fukunaga has remained sidelined, watching his projects get adapted by others while his name gets attached and then separated from Hollywood developments. Everyday those Nic Pizzolatto-hurled accusations that Fukunaga is difficult to work with seem less like sour grapes and more like the truth. So when Netflix announced that they were partnering with Fukunaga to produce an adaptation of the Norwegian series Maniac, it seemed like a curious choice. Was a return to television a backtrack to Fukunaga, or had he simply found the right partner for his vision in Netflix’s notoriously hands-off policy towards its creators? I’m thrilled to announce that it’s definitely the latter. 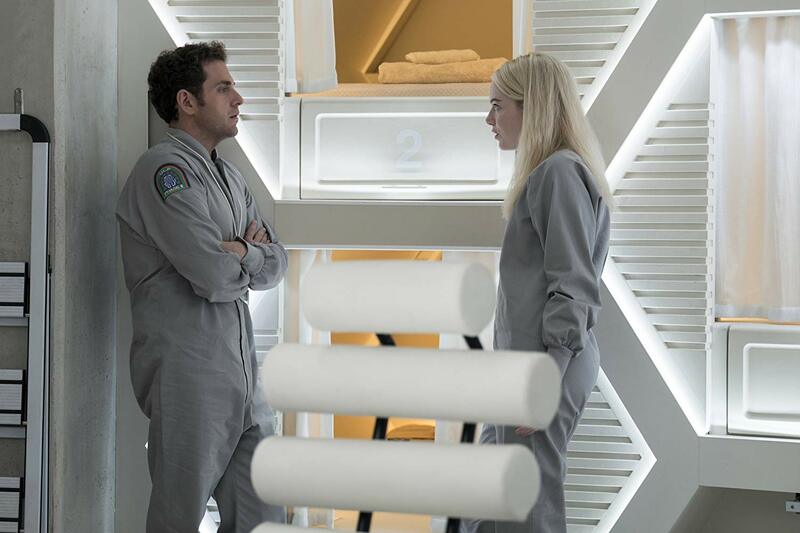 Maniac stars Emma Stone and Jonah Hill as Annie Landsberg and Owen Milgram, two participants in the end-stages of a medical trial promising to give its participants a new pharmaceutical cure for their problems as an alternative for the mental and emotional strains of therapy. Furthermore, the trial promises that the process will cure their problems forever without any additional treatment ever needed. It doesn’t hurt that the trial pays its participants extremely well either, but as another subject who’s made a career out of being a medical guinea pig says, “no risk, no reward.” Neberdine Pharmaceutical and Biotech wouldn’t be paying all this money for medical subjects if the trial was completely safe, would they? Owen is willing to push aside any concerns about the trial in his desperation to be cured of his possible schizophrenia. The black sheep of a wealthy Manhattan family, Owen is set to testify as the lynchpin alibi in his brother’s (Billy Magnussen) trial for some vaguely defined sexual assault and harassment. The only question is if his possible history of schizophrenia — evident, but never officially diagnosed — keeps him from telling or even knowing the truth about his brother’s whereabouts that night. His illness has manifested in Owen seeing and interacting with Grissom (also Magnussen), a nonexistent fifth brother who tells Owen that he is The Chosen One and meant for a higher purpose. Owen enters the NPB medical trial hoping for a solution to his mental confusion as well as needing a respite from his family’s pressures to lie for his brother. Annie, however, is looking for no greater truth. She’s almost entirely Owen’s opposite, struggling to make ends meet, confrontational against his meekness, and searching only for a fix as opposed to his quest for truth. She’s willing to ignore any concerns she has, even going as far as blackmailing her way into the trials in order to gain access to one of NPB’s experimental pills to which she’s developed an addiction. The NPB treatment is comprised of three stages, each a different mental experience brought on by a pill and then monitored by the company’s computer, GRTA. It’s therapy via dreamquest. 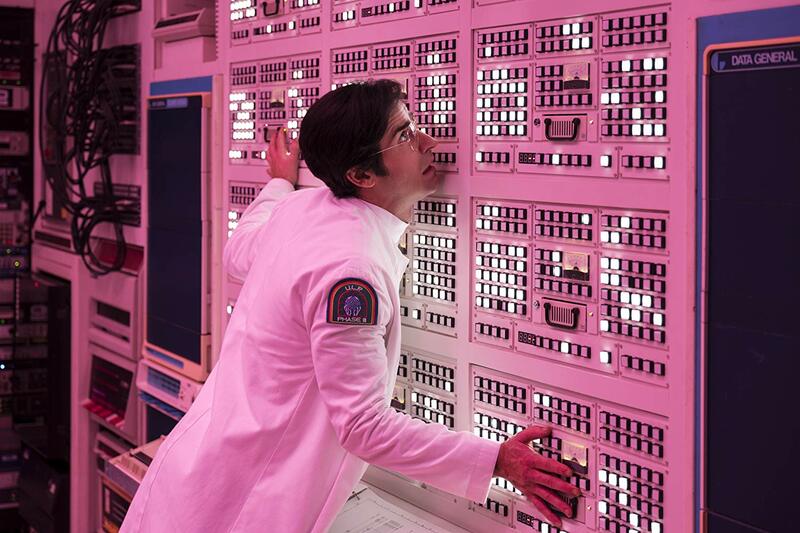 The project is overseen by Dr. Fujita (Sonoya Mizuno), a young scientist with a decidedly Edna Mode sense of fashion, and later by Dr. James Mantleray (Justin Theroux), the project’s co-founder who had been exiled when problems began to arise. The A pill forces the test subject to relive the worst day of their life, revealing the source of their greatest traumas. The B pill is the “behavioral” pill which reveals the participants’ blind spots and the ways in which the subject hides their true self away to prevent self-discovery (more on this later). Pill C represents confrontation where the subject confronts their traumas and the GRTA computer rewires the brain to deal with them. A computer rewiring the brain? What could possibly go wrong?